Other Comments: This versatile ensemble consists of three talented musicians. Violinist Arkadiy Gips, who immigrated from Russia in 1995, is classically trained, but ethnic music, folk and jazz are the heartbeat of his spellbinding playing. Flutist Cheri Papier is a native Ohioan who treats audiences to her "family of flutes," ranging in size from piccolo to alto flute. She is a featured musician with various local performing groups, including Zivili, Koleinu (the Columbus Jewish Community Choir), The Sharyonim, and others. 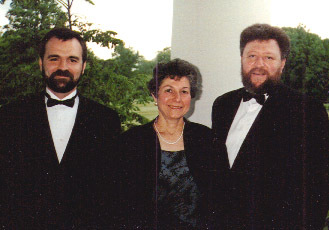 Pianist Mikhail Popov came to the U.S. in 1990 from his native Leningrad, where he earned music degrees from the Leningrad Conservatory. Mikhail is a classically trained musician whose real love is jazz, bringing the ensembles music to life with his impressive improvisational abilities.